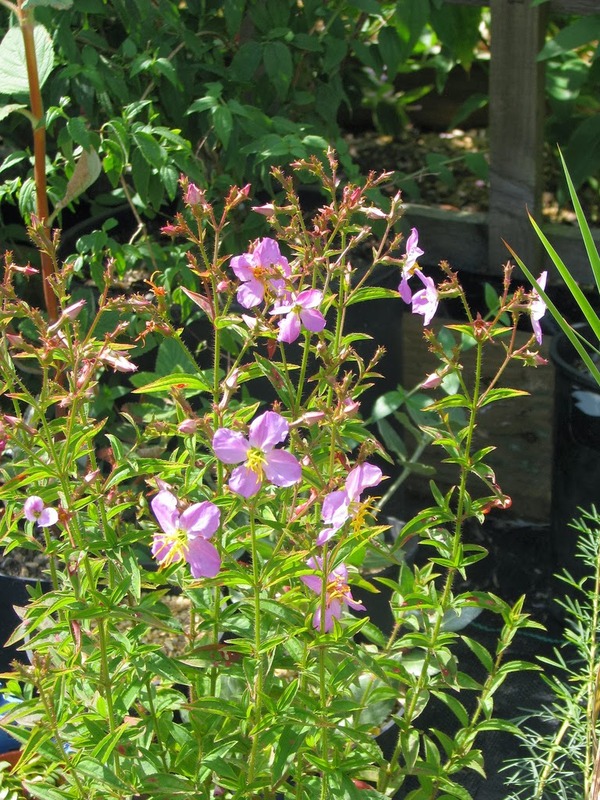 This is something very special – a very pretty small perennial with attractive foliage and topped with large and beautifully formed rose pink flowers in summer. I imagine the reason we don’t hear of it more is that a) it belongs to the largely tropical Melastomataceae (Medinilla, Tibouchina, etc) so we assume it’s tender, and that b) in the wild, in the Eastern USA, it grows in wet acid heaths alongside Sarracenias so we assume it needs special soil conditions to survive. 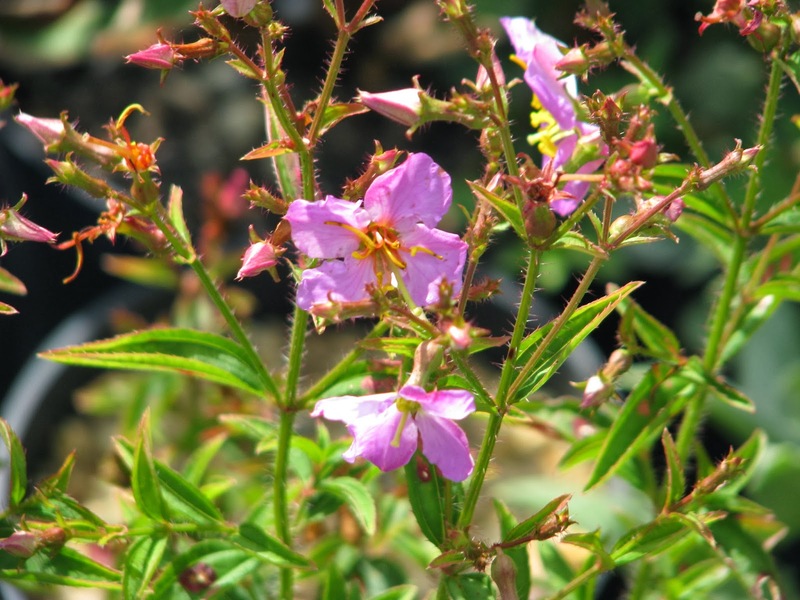 The fact though is that, so far at least, it has proved completely hardy and adaptable to ordinary nursery conditions. My slight concern is that it travels a bit underground, but it’s definitely worth a try.